Hotels in the immediate area of UTown are as follows. 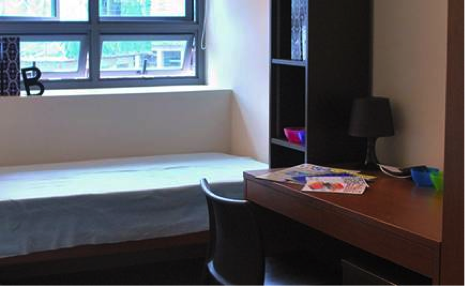 Delegates attending IEEE SECON 2014 may wish to stay at single rooms at UTown Residential College at University Town, NUS (see photographs below). These are located about 5 minutes’ walk away from the conference venue. To arrive at the final payable amount, multiply by the number of nights required and add 7% Goods and Services Tax. 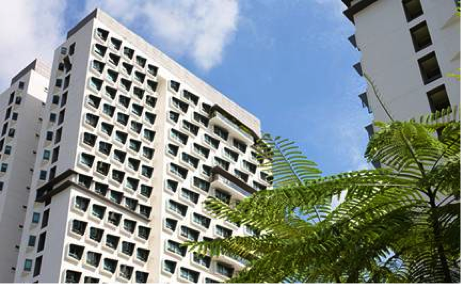 Payments can be made upon your arrival in Singapore by cheque or bank draft made payable to the “National University of Singapore”, credit card, cash or wire transfer (details provided upon request). The room rate excludes provision of towels, toiletries and daily housekeeping services. Only bed sheet, pillow with pillow case and blanket will be provided. Strictly only 1 occupant per room. Occupants are expected to behave according to the norms expected in a university setting. Please make your reservation by sending an e-mail with subject “SECON 2014 UTown reservation” to the Local Arrangements Co-Chair Dr Lai-Tee Cheok at laiteecheok@smu.edu.sg by 16 May 2014. Please indicate your name, gender (M/F), passport no., nationality, organization/institute, no. of nights and dates required and provide a copy of student identification if you are a student. Cancellation charges may apply if you cancel after 31 May 2014. Participants can explore for nearby accommodations using the Hotel Guide Network http://hotelguide.net/destinations_asia_pacific.html or online tools such as Orbitz http://www.orbitz.com/, Expedia http://www.expedia.com/ , Travelocity http://www.travelocity.com/ and bookings.com http://www.booking.com/?aid=355028.